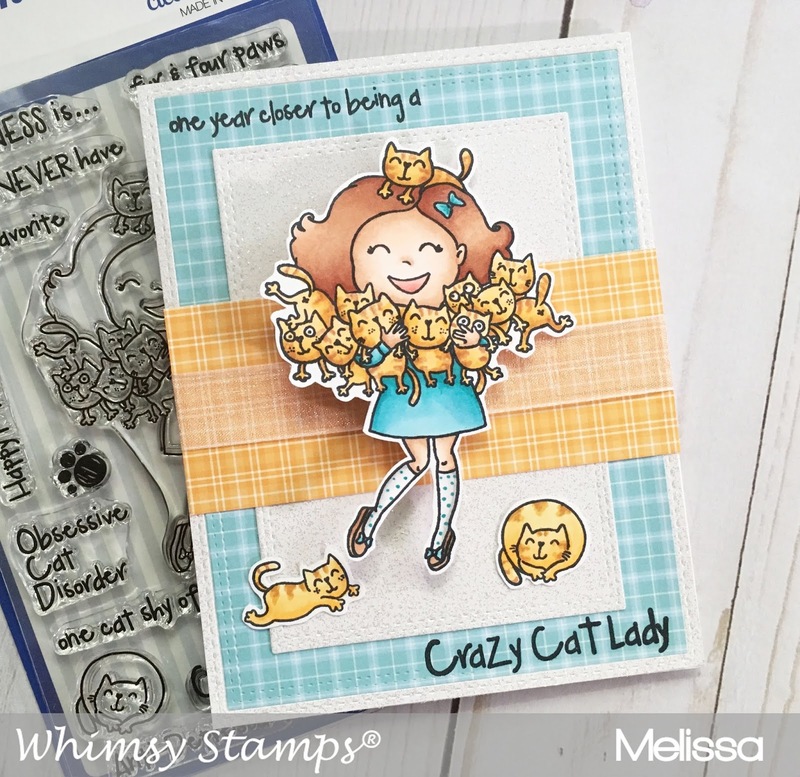 I had so much fun creating this wobble card with the new Whimsy Stamp set called Crazy Cat Lady. The wobble makes her go crazy back and forth like she really does have an armful of cute kitties! My daughter is a crazy cat lady for sure and most of her room is covered in cat posters! This card will be perfect for her upcoming birthday. You can get this new cutie in the Whimsy Stamp Shop now. Today is the last day of the new release. So many of these new stamps will sell out fast, so make sure to hurry and get yours today. I cannot find cordinating dies for The Crazy Cat Lady Stamp Set. Did you fussy cut everything?